Many people want to install in your car a subwoofer, but in electrical engineering strong few. So, before you get down to business, you should learn the General principles of connectivity with this device, because the wrong connection will result in the equipment damage. In order to connect the active subwoofer to the receiver, it is necessary to bring food. As a rule, supplied by a car battery. The subwoofer peaks at low frequencies can consume a large enough capacity, so at this point, one can often observe a decrease in brightness enabled light devices of the car. For the safety and protection of electrical systems against overload in this case it is recommended to install the capacitor with the correct polarity. In a circuit it must stand with subwooferOhm in parallel. Also, for fire safety, put a short circuit protection: on the positive wire coming from the battery to the subwoofer, at a distance of 40 cm from the battery terminal, put the fuse at 40A. After executing the above you can move on to connecting the subwooferand the receiver. 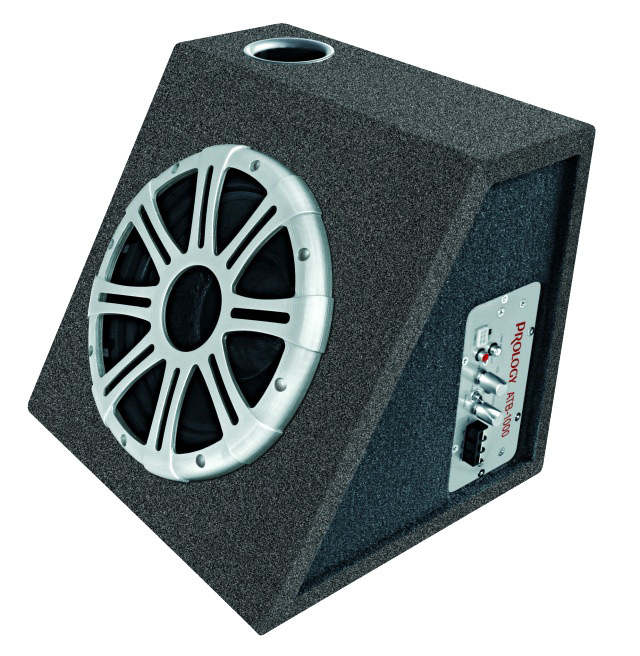 As the subwoofer in this case is active, this means that it has a built-in amplifier. Therefore, in order to connect the active subwoofer to the receiver, no external amplifiers are required. For connecting it to the radio there are RCA interface(also known as "Tulip"). If the radio is no special output to connect a subwooferand you'll have to connect to the model outputs to the speakers, but it is necessary to use a low-pass filter, in the region of 20-250Hz. This is done in order to speaker subwooferand reproduce only a certain frequency range, it positively affects the quality of sound remains the frequency response of the equipment.